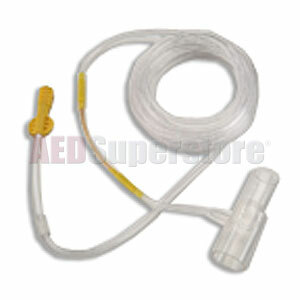 LIFEPAK 12 EtCO2 Circuit FilterLine H SET Adult/Pediatric for Intubated Applications by Physio-Control. Includes airway adapter. High humidity FilterLine (79") for long term intubated patients (72 hours typical). 25 Pack.